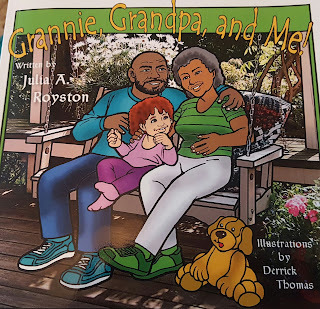 Title: Grannie, Grandpa, and Me! Many grandparents, aunts, distant relatives, foster parents and other guardians issued by the state, raising today’s children. Some of these people are long past the retirement age and should be taking cruises, vacations in the summer or moved to warmer climates enjoying their latter years until they are unable to take care of themselves. Instead, they are coming to parent teacher conferences, buying school clothes and shoes, finding tutors for homework that they stopped doing long ago. Walks in the park, visits to the zoo and circus tickets were once a thing of the past, but have resurfaced so that this generation can somehow enjoy being a kid and have a better life. These are the true heroes of our generation. People who are willing to sacrifice their wants, needs and desires to be able to see the next generation survive and hopefully, thrive. 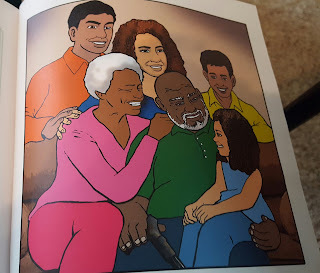 This children book is intended to the kids of age 3 to 6 years. The plot is about loving grand parents who raise their grand daughter as a responsible adult. The story covers the different phases of the grand daughter from cradle to her own job and marriage. The moral at the end is simple and beautiful. 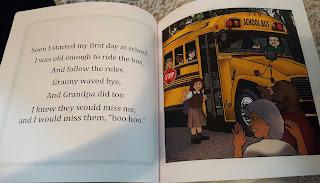 I have kids around 1 and 5 years of age and My 5 year old enjoyed reading the story to him, though it's not easy to understand for a 1 year old. 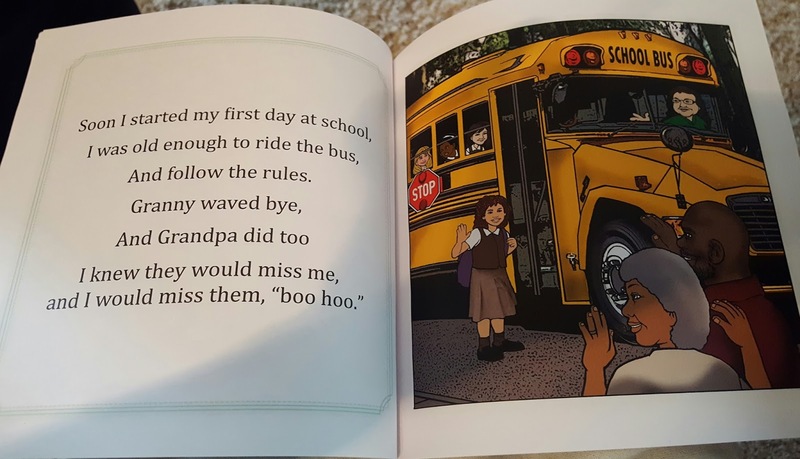 My kid had an opportunity to spend some time with their grand parents and hence he could relate to each and every sentence written in the book. The illustrations by Derrick are very good. My Son enjoyed watching the illustrations to understand the sentences. It made him curious to ask questions on job, school bus, taking care of grand parents etc., He took the moral clearly that we should take care of elderly and shouldn't ignore them. Isn't it cute? The narration is easy to follow and characters are portrayed in a realistic way to make kids understand. It is a quick read and took around 10 mins to read out loud and finish, which is good, as kids won't give long attention span. The font is good to eyes. I saw one glitch though. Illustrations for shifting to new job and graduation ceremony are jumbled. Overall, a very good read. I would recommend this to kids aged 3 to 6 years. Julia A. Royston is an author, publisher speaker, teacher and songwriter residing in Southern Indiana with her husband, Brian K. Royston. To her credit, Julia has written original music for 5 Music CDs, 2 DVDs, authored 20 Books, a contributing author in 3 books. Julia and her husband oversee the operation of BK Royston Publishing, LLC to provide quality, informative, inspirational and entertaining materials in the global market place in all media formats. The non-profit, For the Kingdom Ministries is established to encourage, enlighten and empower people to live the abundant life God promised. By profession, Julia is a certified, technology teacher with the local public school system. For more information visit www.bkroystonpublishing.com, www.juliaroystonenterprises.com or www.juliaroyston.net.